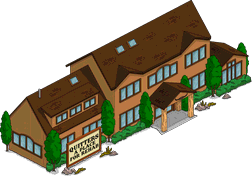 The Homerpalooza event takedown and County Fair mini-event update has just been released and as most of you know by now, every update not only brings new content but also changes to many other aspects of the game. From prices to appearance, task lengths to requirements, any part of the game is subject to change and many changes affect every player. Follow us right after the jump for the list of all of the changes. The Splash Screen, App Icon and social icon were changed back to normal. The decorations limit was increased to 10.300. 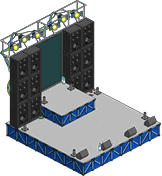 Jammers can now perform at Rock Stage, Pop Stage and Hip-Hop Stage with the 4h job “Jam Session”. If started from job list or with Unemployment Office the payout is normal or premium. If started from the stages, the payout is much lower. Solomon’s Temple and Rockin’ Ark’s tasks are now premium. 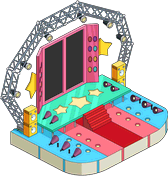 Rock Stage, Pop Stage, Hip-Hop Stage and Kwik-E-Merch are now storable and were added to the Buildings inventory group. 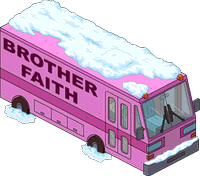 Brother Faith Van was moved from the Miscellany inventory group to the Decorations inventory group. Guitar Central can now be placed on Pavement and Dirt Pavement too. 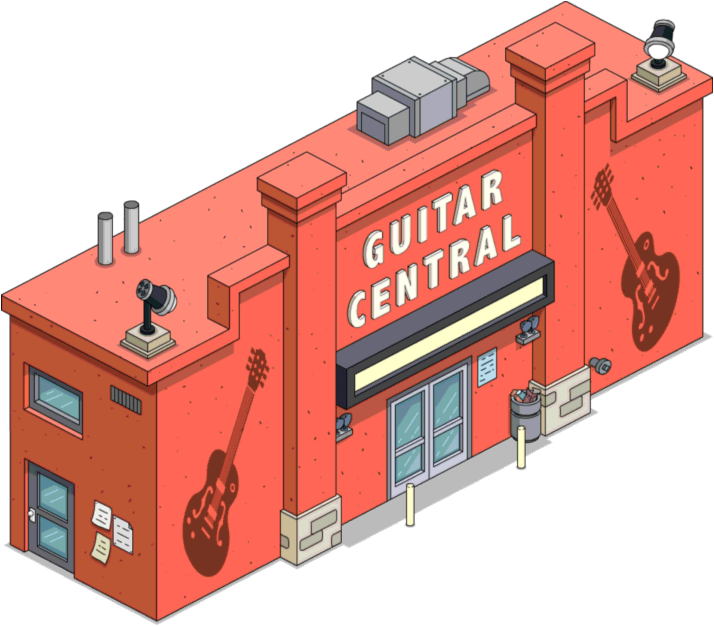 *Guitar Central now has a description “From Season 26, Episode 8 “Covercraft””. 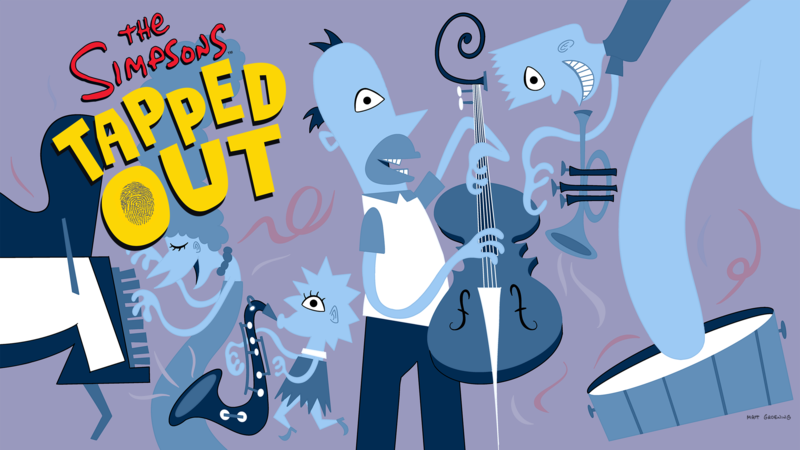 Quitters now has a description “From Season 15, Episode 15 “Co-Dependent’s Day””. Rockin’ Ark now has a description “From Season 12, Episode 19 “I’m Goin’ to Praiseland””. 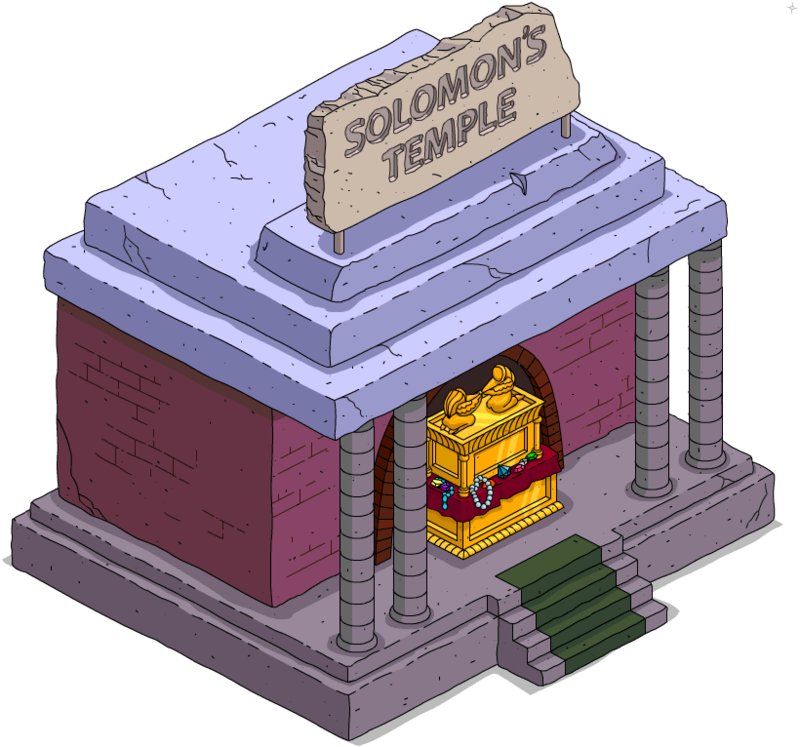 Solomon’s Temple’s description was changed from “Charging People to Look Directly at the Ark” to “Season 12, Episode 19 “I’m Goin’ to Praiseland””. Welcome Bob Sign now has a description: “From Season 8, Episode 16 “Brother from Another Series””. Woodstock Casino now has a description: “From Season 5, Episode 10 “$pringfield (Or, How I learned to Stop Worrying and Love Legalized Gambling)””. Flying Santa Homer, Arnie Pie, Fairy Kodos, Norbert and L.T. Smash are no longer tappable. Deep Space Homer, Homer’s Chiliad, Homer the Heretic and Rommelwood Academy are set to reactivate as classic mini events for 8 days starting September 28th if the user hasn’t completed them. They’re activable till October 2nd. After the end of the event, a 8 days sale on the items starts, with all the items sold again in the events present. In the Its Not the Heat, Its the Humidity Pt. 5 start dialogue, Lisa’s text was removed. All dressed Pt. 2 now requires Tuxedo Krusty to be unlocked. All dressed Pt. 2 to 5 now requires Level 7 instead of Level 5. Tuxedo Krusty’s 12h and 24h jobs were removed. 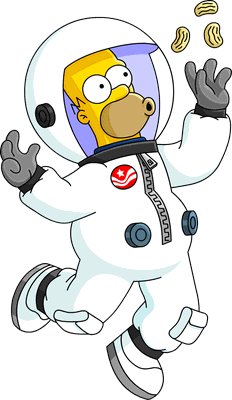 Deep Space Homer no longer requires Level 20. Police Tank’s destroying buildings can now be activated with The Paralyzer too. The Vault’s content were shuffled again upon updating. 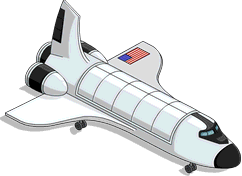 Space Shuttle Simulator bundle w/Astronaut Barney now costs 120 Donuts if Bowlarama hasn’t been bought, otherwise it’s bundled with Bowlarama w/Barney at 250 Donuts. 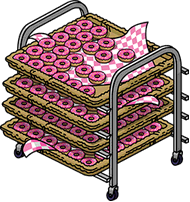 The “There are no purchases to be restored” bug while purchasing donuts has been fixed. Luke Stetson’s questline has been fixed. Old Simpson Farm task now pays out premium. Join us next time for more infos on this update, happy tapping! Thanks. I understood that. It was more a query as to whether those who have completed the quest would get the chance to buy the Barney skin. I guess not. Thx for replying. Cool. I hope so. Thx for replying. Amen! To the now un-clickable flyers! Best. Update. Ever. I recently stored Arnie because it was so annoying and I was thinking about storing LT too! Best. Update. Ever. Indeed! I am very glad that all characters from “The Flying Circus” are no longer tapable! Oh thank God they made the stupid flying tasks no -clickabe. That always annoyed me to no end! To the point where I would keep Arnie Pye a stonecutter to prevent him from ever flying. 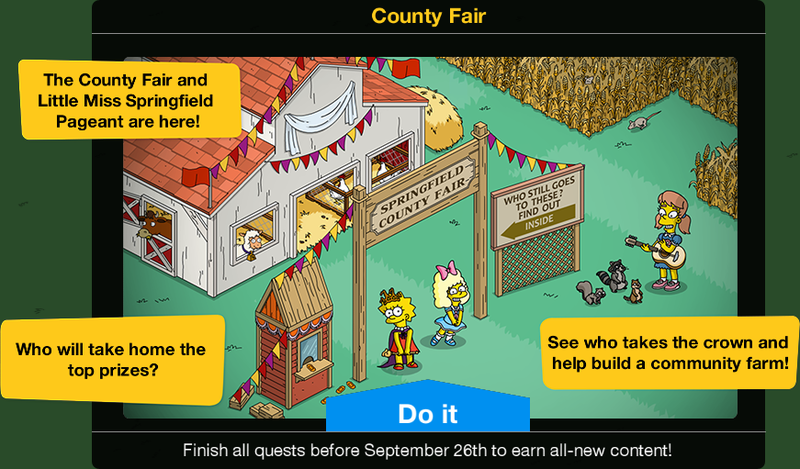 Previous Homerpalooza event Takedown update is live + new mini-event: the County Fair coming up tomorrow! Next County Fair starts now!